Welcome to Finished Basements a consumer information website! Finished Basement Systems offer homeowners the convenience of adding more square footage without more headaches. Increasing the square footage of your home was a large undertaking. Previously, framing up a basement with traditional techniques would often fall short in a humid, cooler environment such as a basement. The length of time consumed by the project. Breaking ground and pouring a new foundation. The expense of funding the addition. 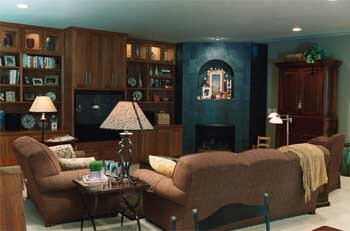 A complete renovation of your basement in less than two weeks. The system is insulated so it will protect your basement from humidity and the cold. You will still have access to all the integral parts of your home normally behind walls such as electrical cords, telephone wires and cable. Anything you can imagine, many homeowners are using their newly finished basements for playrooms, workout rooms, or a recreation room.